As an introduction to the album, this song tosses a lot of elements at you fairly quickly. From the dramatic, engaging piano chords to the fluctuating synth patterns, this song serves an excellent kicker and a good example of what kind of incredible songs you can expect to find yourself in the midst of for the next twenty minutes you’re listening for. There’s a great sense of energy and enthusiasm behind the vocals that’s more than admirable, and even though this song edges on the lengthy side, it never feels like it’s overstaying its welcome. If you want a much lengthier detail of my thoughts on this track, be sure to check out my review here. Long story short? I really love this song, and it’s probably one of the most positive (no pun intended) songs of the year. It’s just such a feel-good track that you can’t help but smile while listening. This is more of a mid-tempo R&B track with cute, playful elements that more than manage to keep your attention throughout. It’s got a smooth combination of relaxing vibes alongside a more dreamy, lovey-dovey presentation and it just feels pleasant to listen to. This is the kind of song that would likely melt girls’ hearts. The vocals are buttery and the rap bits that are incorporated don’t feel forced or awkward, matching the tone and flow of the song incredibly well. My one issue is that I think the final chorus just being a simple step up in note is a little too safe and expected, but it’s not a deal breaker. As one should probably expect of a song featuring only the rappers of the group, this is the most hard-hitting track out of the album. A lot of the vocals are presented in a hushed, almost mumbled manner although it’s far from mumble rap. It’s used as a technique to really focus your attention on the track and it works really well. The chorus is so easy to repeat and follow along with, and the whole time that you’re listening this song you can just feel the energy building up, and the climax of this song definitely delivers on those expectations. I can’t help but imagine hearing this at a live concert and getting hyped and screaming my lungs out. I really enjoyed this track and it’s obvious that the rappers of PENTAGON have a ton of talent. This track is about as close as we get to a ballad from this album, though I wouldn’t go so far as to say that it is one. It’s got the simplistic backdrop of instrumentals, though we don’t go full out with dramatic piano. 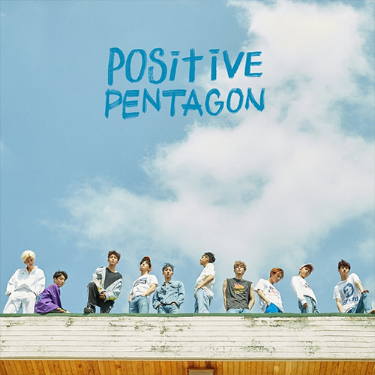 Most of this track is a showing of PENTAGON’s crisp vocals, and when the chorus hits it’s pretty clear that they aren’t short on great singers within the group. There’s a good sense of emotional pull on display, too, and I can certainly appreciate that. There is a bit of a disconnect when the song moves the chorus back to the verse, but it’s not too noticeable overall. This song doesn’t really do much for me personally but it wasn’t something offensive and I definitely wouldn’t say it’s a typical ballad track. This song appropriately ends this album on a very feel-good note. Everything about this song makes it feel as though it’s lifting up your spirits and comforting you. Hui and Jinho absolutely kill their vocals in this song and they just sound so damn consoling and soothing. For those that haven’t read the lyrics to this one, I actually recommend it, they’re great. I love the choice of a rap for the pre-chorus section, I love the message, I love everything about this song. It’s warm, it’s friendly, it’s reassuring - it’s positive. And to have the album end on a song like this is not only fitting, it’s graceful, elegant, and beautiful. Positive is an amazing mini-album packed with a variety of styles all under one cohesive theme. Every song feels written with love and care, and to know that multiple members partook in helping to create these tracks only solidifies that this is an authentic experience that PENTAGON is delivering. If you’re ever in need of a pick-me-up because you’re feeling down, this album is guaranteed to be something to help you get back to smiling in no time.